AVO've redesigned our high-performance blow-off valves for the Legacy GT, Outback XT, 08+ WRX, and new Forester XT! The first thing you will notice is the new colors, as they now come in anodized Blue, Red, and Black, along with the previous silver finish. This is not the biggest change, however, as we have changed the internals by quite a bit! Listening to feedback from our customers, we've changed how our BOV works, and for the better! New valving and a stronger seat pressure improves the performance, along with more throw, giving it a better ability to deal with higher boost levels. A softer spring has also been utilized to decrease the chance of compressor surge. You may notice a little more noise when it vents to atmosphere because of these changes. So a blow-off valve's job is to vent all that built-up pressure back into the system or out to atmosphere. This allows the turbo to continue spinning freely. 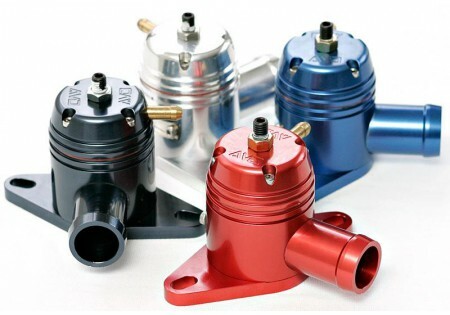 This is important not just for pressurizing the air going into the engine, it is also important for the exhaust gases going out of your engine, as they run through the turbo exhaust side to spin it up. 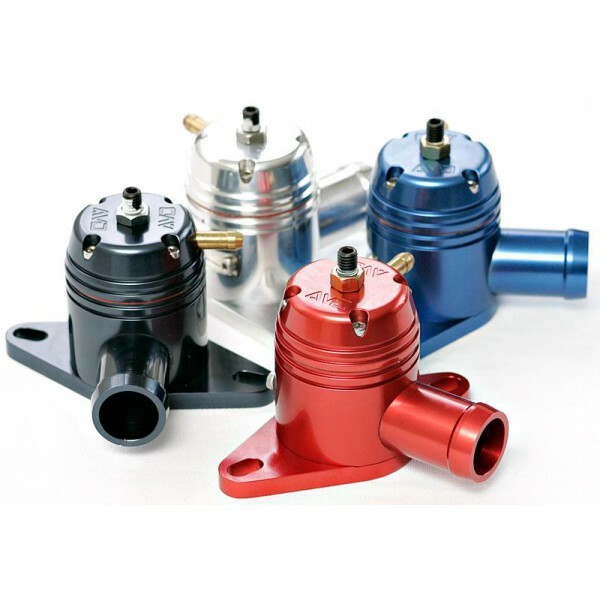 Stock BOV's are usually lightweight plastic assemblies designed to be effective only at stock boost levels. 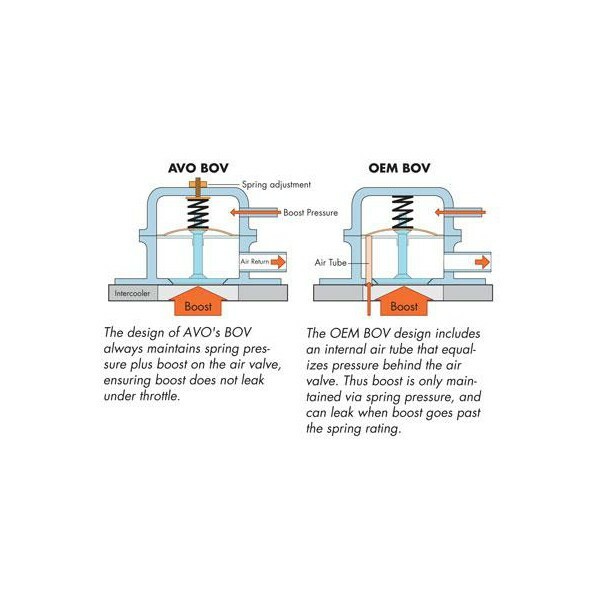 Problems can arise when you increase boost levels, possibly overloading the BOV with a higher pressure level than the standard spring was designed to handle. That's where AVO's line of BOV's for your Subaru Legacy, Forester, and Impreza come in. 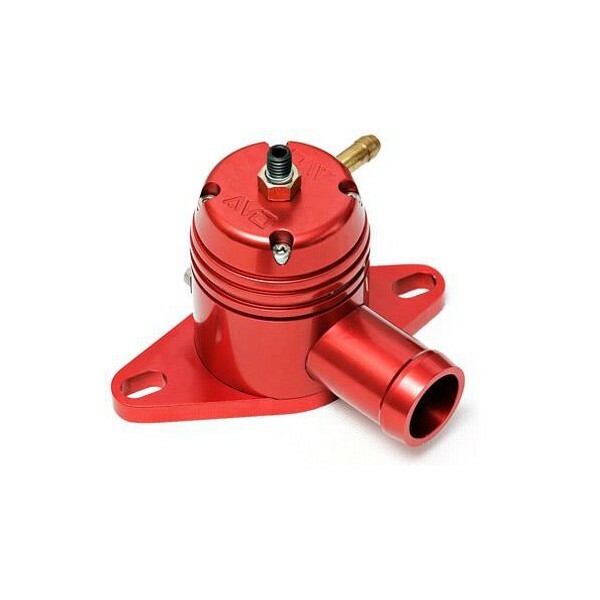 Our BOV's are built to take bigger boost levels, responding quickly to throttle lifts. Moreover, we've designed them so that you have a choice on how it vents. 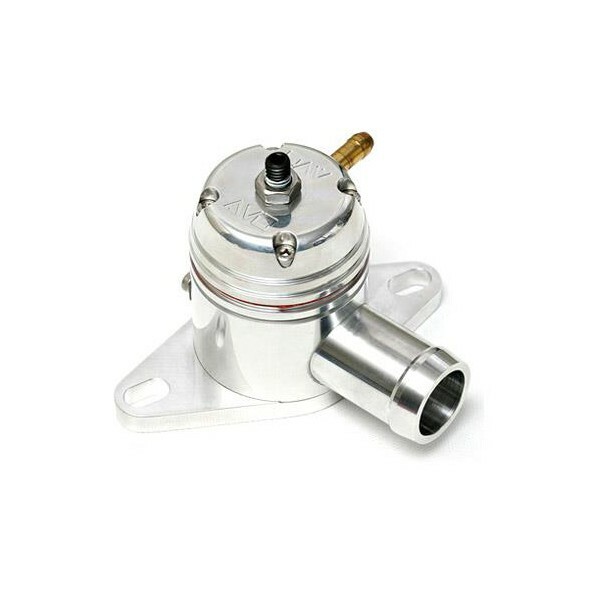 Each of our BOV's comes with a removable plate that will allow a percentage of boost to vent to atmosphere. It still recirculates the majority of the air back into the system, which is important for keeping a smooth idle. Modern ECU's on todays cars compensate for the amount of air that has been dumped back into the system, and when you simply remove that air, it leads to idle problems as it throws the system off temporarily.